The modules in the Safety series begin by providing an overview of common industrial facility hazards and protective systems, including the areas of a facility where these hazards may be encountered. These modules also introduce fire and electrical safety practices, as well as discuss topics such as hazardous communications, lockout/tagout, industrial signage, and personal protective equipment. This series consists of 33 modules. Each module is 30 minutes in length and is presented in the Courses section of the odesie site. To download the Safety series outline, click here. This series consists of 33 modules. Each module is 30 minutes in length. You must pass all modules in this course with an 80% or higher to receive the CEU certificate of completion. 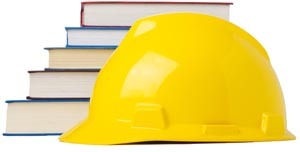 The subject area, Safety Training, has been added to your cart.